The third ESSMA Summit is due to get underway at the iconic Parc Olympique Lyonnais (Parc OL) stadium in Lyon, France, next month, January 16 to 18, 2017. 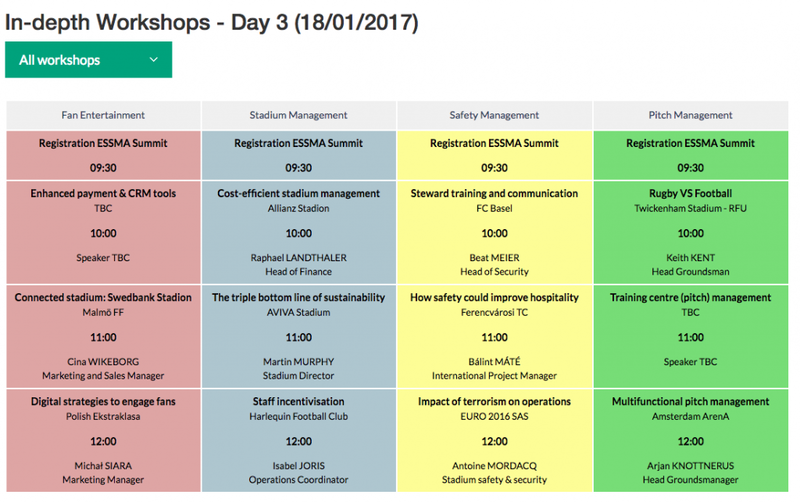 This must-attend stadium industry event is organised by ESSMA (the European Stadium & Safety Management Association), in partnership with the EPFL, ECA and the ICSS. The ESSMA Summit will provide attendees with three days of learning and knowledge-sharing, with more than 25 stadium professional speakers who will lift-the-lid on a host of stadium-related industry topics and also deliver in-depth workshops on the latest stadium developments, all of which will be combined with extensive stadium tours of Parc OL, which aim to bring great insights to all participants. 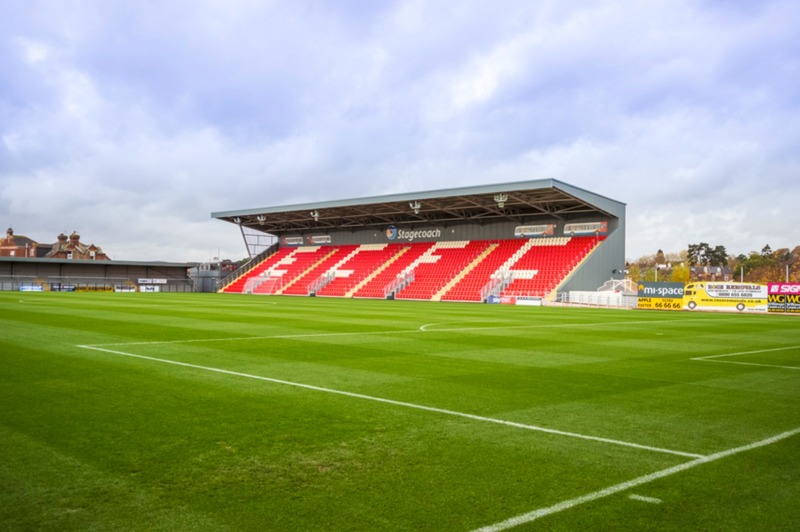 On Day One, attendees will be treated to a Stadium Development Seminar, which will divulge details on the latest stadium new build and renovation projects from across Europe, including Chelsea FC’s stadium development and Stadium Kantrida; the new Croatian stadium. This opening session will provide insights into different ongoing stadium projects: stimulating the exchange of knowledge and showing the potential impact of future stadium developments. 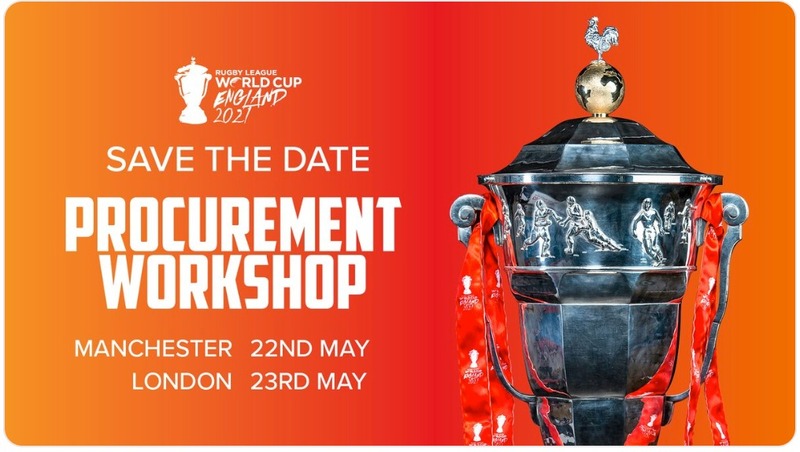 On Day Two, owners, operators and developers of stadiums and arenas will be invited to bring together the European sports venue industry under one roof. Inspiring keynote sessions from other industries will also be included to describe some of the latest initiatives and solutions when it comes to successful brand activation. 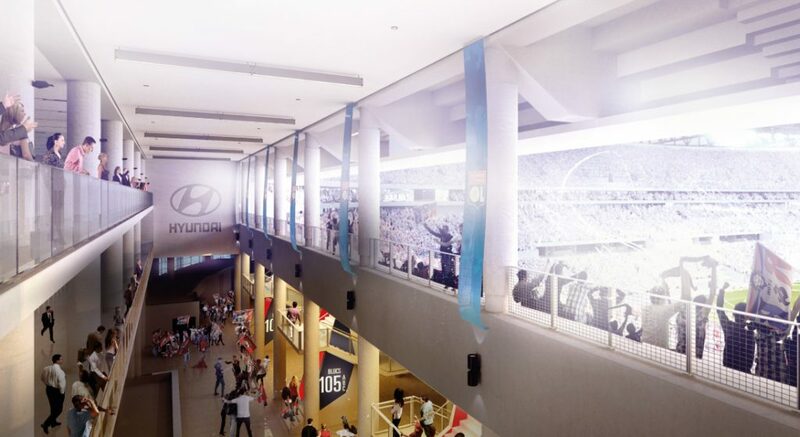 During the Summit, delegates will also be able to avail of extensive stadium tours, which will be organised by the Olympique Lyonnais staff members, to show the high level of Fan Experience available at Parc OL; highlighted by the stadium’s connectivity, including: Wi-Fi, mobile app, in-seat delivery, etc. Each participant will benefit from the opportunity to define a personal workshop selection, based on individual preferences (see below). The ESSMA Summit is the yearly gathering of stadium industry professionals. 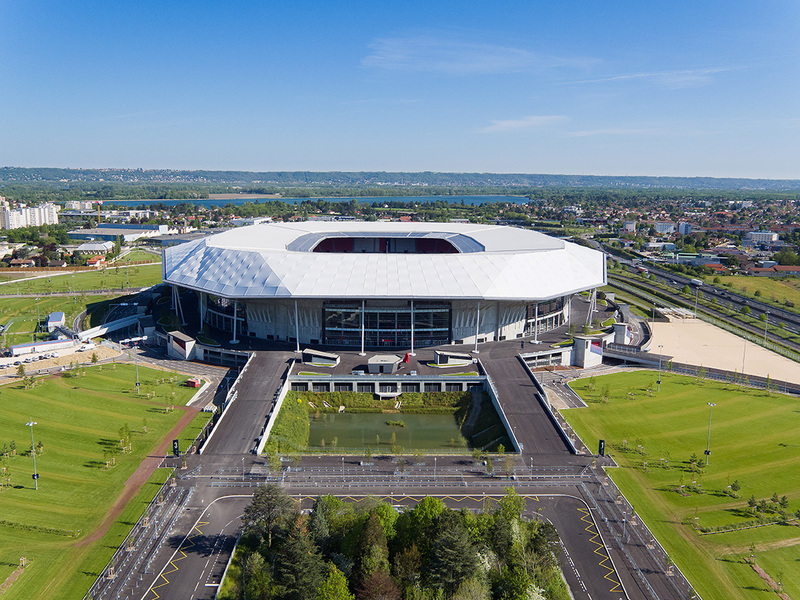 After two previous successful editions at the Allianz Arena, Munich, and San Mames Stadium, Bilbao – with the latter welcoming over 300 participants – the brand new Parc Olympique Lyonnais in Lyon will be the unique setting for our third and next edition. The ESSMA Summit stands for trusted industry information by the best in the stadium business to enable discussions on best practices and to guarantee high level networking. A full spectrum is covered, from design to construction to technology and stadium management. The ESSMA Summit is a fantastic event to broaden your network in the stadium industry and to link-up with European colleagues in a unique setting. All kinds of stakeholders will be in attendance, from sponsors to venues, clubs, leagues, federations, producers and suppliers. I thoroughly enjoyed the ESSMA Summit: this annual event is the most relevant and useful industry event and it is now an annual commitment from me to make sure I attend. *Please note: only ESSMA, ECA and EPFL members are eligible to attend the ESSMA Summit. Located in the commune of Decines-Charpieu, 10km east of central Lyon, the stadium forms part of a complex stretched over 50 hectares and featuring a training ground for Olympique Lyonnais (OL), as well as hotels and office buildings. 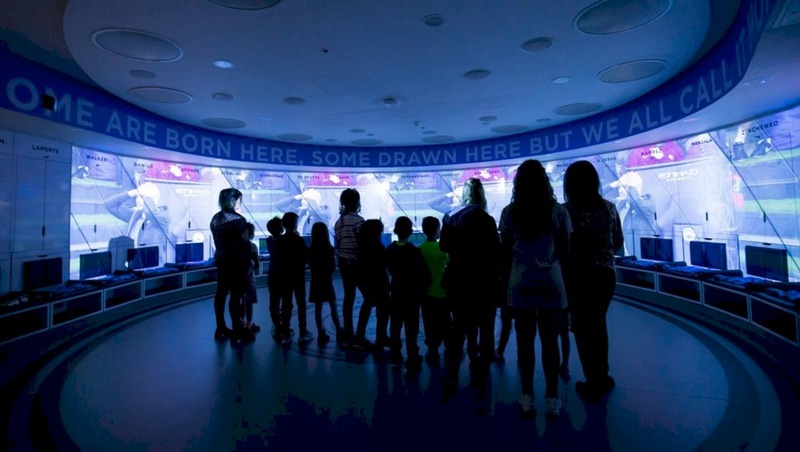 This new generation stadium is open 365-days-a-year and offers a unique experience to its spectators in proposing connected services, which revolutionise the “stadium experience”. Constructed under the project name Grand Stade OL, the finished venue consists of three tiers. The stadium replaces the Stade de Gerland, OL’s home since 1950. After 29 months of works undertaken by Stade de Lyon Construction (VINCI Construction France), Parc Olympique Lyonnais (Parc OL) staged its first game on 9 January 2016, when OL beat Troyes 4-1 in their Ligue 1 home opener. The 59,186-capacity stadium is a word-class venue, equipped with all the necessary features required by UEFA to host international tournaments and events, beginning with the UEFA Euro 2016 Finals, for which it hosted six matches, one of which was the semi-final, and it was rated as the ‘best stadium in the tournament’ by French architecture magazine Le Moniteur. 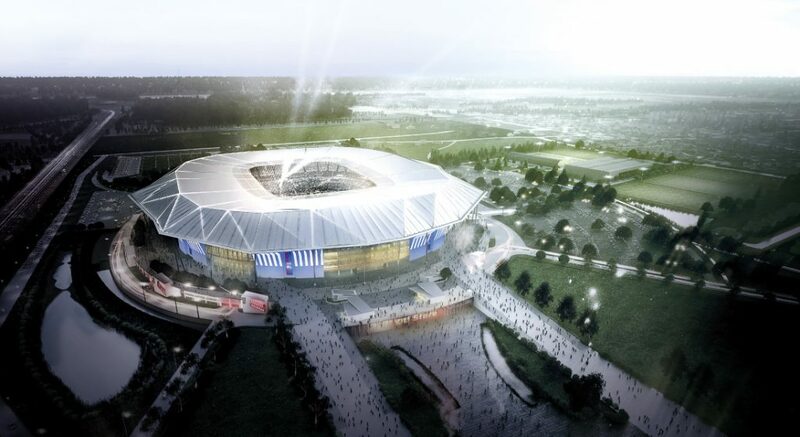 Parc OL’s design – by global architectural giant, Populous – takes inspiration from the unique relationship that Olympique Lyonnais’ fans have with their stadium; for example the North and South Stands have been designed to respect and facilitate the OL fans’ tradition of singing to one another during games, creating a cacophony of noise and support. The European Stadium & Safety Management Association (ESSMA) is a non-profit organisation with the mission to provide a global platform where stadiums and clubs have the opportunity to share knowledge and expertise. The Association currently has over 300 European stadium members and 17 league/federation members. NB: Sports Venue Business CEO & Founder, Katie McIntyre, will be on hand in Lyon for the ESSMA Summit 2017 and will be publishing a post-event report, so if you are an attendee, speaker or sponsor, make sure to email her at: katie@sportsvenuebusiness.com to arrange a meeting.